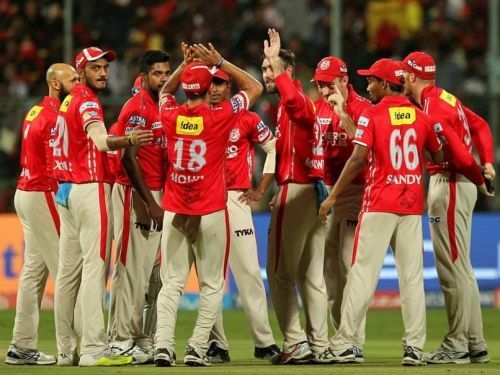 Kings XI Punjab will be one team that will be definitely looking to improve their performance in IPL 2019. The team had a great first season reaching the semi-finals, but after that could never match their performance in IPL 2008. The only time they could better their first season's performance was in IPL 2014 where they were the runners-up. Apart from that, they have been mostly been placed in the bottom half of the table in the league stages. Let us have a quick recap of Kings XI Punjab's performances in the IPL thus far. 232 - Kings XI's highest total in the IPL. It came against RCB in 2011. 73 - Kings XI's lowest total in the IPL. It came against Rising Pune Supergiants in 2017. 2477 - Runs scored by Shaun Marsh is the most number of runs scored by a KXIP player. 122 - Runs scored by Virender Sehwag against CSK in IPL 2014. This is the highest individual score by a KXIP player. 10 - Centuries have been scored by KXIP players. These have been scored by Virender Sehwag (122), Paul Valthaty (120*), Wriddhiman Saha (115*), Shaun Marsh (115), Mahela Jayawardene (110*), Adam Gilchrist (106), Hashim Amla (104* & 104), Chris Gayle (104*) & David Miller (101*). 20 - Half-centuries scored by Shaun Marsh is the most number of half-centuries struck by a KXIP player. 659 - Runs scored by KL Rahul in IPL 2018 is the most runs registered by a KXIP player in a single edition of the tournament. 84 - Wickets taken by Piyush Chawla is the most wickets taken by a KXIP player. 5/14 - Ankit Rajpoot against SRH in IPL 2018 is the best individual bowling performance by a KXIP player. It is also the only five-wicket haul taken by a KXIP player. 2 - Five-wicket hauls have been taken by KXIP players. These were taken by Ankit Rajpoot (5/14) & Dimitri Mascarenhas (5/25). 24 - Wickets taken by Andrew Tye in IPL 2018 is the most number of wickets taken by a KXIP player in a single edition of IPL. 54 - Dismissals (Ct - 39, St - 15) by Wriddhiman Saha is the most number of dismissals by a KXIP wicket-keeper. 4 - Dismissals Adam Gilchrist against CSK in IPL 2012, & by Wriddhiman Saha against RPSG in IPL 2016 & against SRH in IPL 2017 is the most number of dismissals by a KXIP wicket-keeper in an innings. 14 - Dismissals (Ct - 11, St - 3) by Wriddhiman Saha in IPL 2015 is the most number of dismissals by a KXIP wicket-keeper in a single edition of the IPL. 46 - Catches taken by David Miller is the most number of catches taken by a KXIP player. 14 - Catches taken by David Miller in IPL 2014 is the most number of catches taken by a KXIP player in a single edition of IPL.